One of the earliest blooming species. Delicate small blooms. Grows wild in meadows especially on limestone. In front of shrubs, around trees, among low-growing perennials, woodland gardens or natural grassy areas. Let them die down naturally. Once established, each corm increases annually. Divide the clumps when they begin to look crowded. This is best done at or just after flowering so you don't interrupt the active growth of the leaves later on. 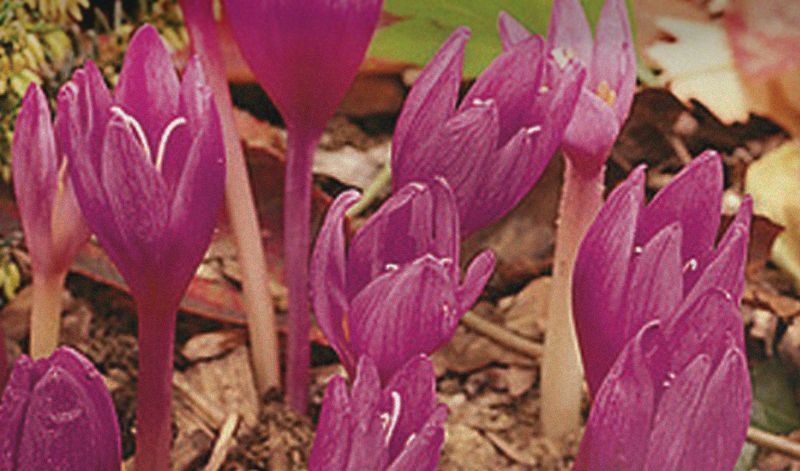 Lift the entire clump and separate the individual corms. Replant immediately. Enrich the soil by adding compost, well-rotted manure or a handful of bulb fertilizer. (Besides the species itself); 'Alboplenum' (white, double flowering), 'Album' (white) and 'Pleniflorum' (rosy-pink, double flowering). Native to West Asia, Europe and parts of the Mediterranean coast.